Our product range includes a wide range of floor hardener, colored floor hardener and metallic floor hardener. Being a market leader of this domain, we present patrons with the superior quality of Floor Hardener. Ideal for heavy duty tough flooring applications, the floor hardener is designed by using latest technology and state-of-the-art machinery. Our customers can avail the floor hardener is varied technical specifications, in accord with their precise needs. Hardener is Non –metallic dry shake economical Colored Floor Hardener for coloring and hardening concrete flat work, resulting hard, non-slip, non-rust surfaces for both interior and exterior. 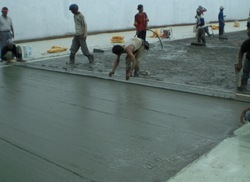 It is applied by the dry shake method which ensures that hard wearing surface bonds monolithically to the base concrete. 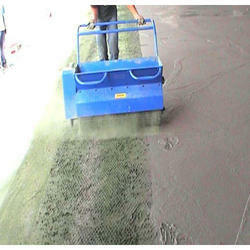 It is specially formulated for use in stamping concrete, textured and imprinted concrete paving and flooring. 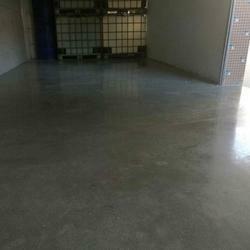 Owing to our experience of this domain, we provide patrons with the superior quality of Metallic Floor Hardener. For the purpose of hardening concrete flat work, the metallic floor hardener is used for exterior and interior flooring hardening applications. Compositional accuracy and ready to use mixture, makes these metallic floor hardeners highly demanded.